How frequently do you come across the different statements on redrawing eyesight/vision? Few people say you cannot get your lost clarity of vision back and some say you can definitely get it back through foods. Of course, there are surgical treatments for eyes which get your vision completely back, it is not preferred by doctors if there are any conflictions with the patients and also if they have heavy sight disorders. But it is a complete truth that we can get back to normal vision strength that is gifted to us using natural treatments. One such treatment to improve eyesight naturally is the ancient acupressure technique. There are so many kinds of eye disorders that are cured by acupressure therapy. This also involves sight defects like long sightedness, short-sightedness, cataract(blur in vision), and color blindness, night blindness, etc. We have multiple acupoints to cure eyesight symptoms and defects; it is considered as one of the best natural ways to improve eyesight. Eyesight is disturbed by other issues also. Neck muscle pain is one such major problem. It leads to blurred vision because of contraction of interconnected muscles in the neck region. Also, diabetic retinopathy, macular degeneration, glaucoma, retinitis, presbyopia, amblyopia, are few of the relevant causes of eyesight decrement. There are scientific treatments viz. 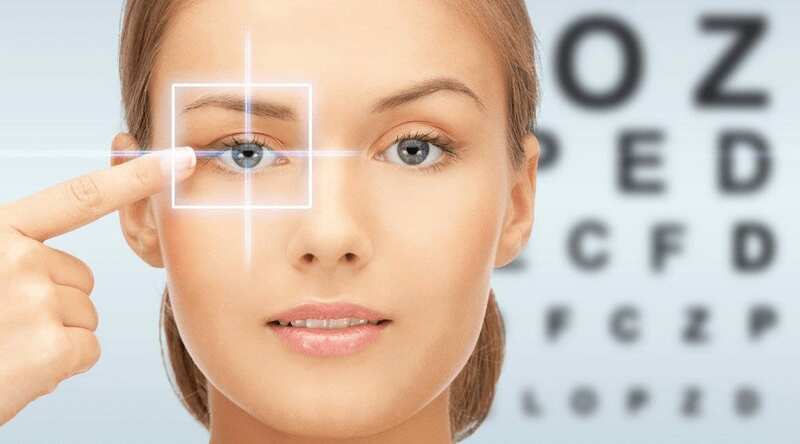 surgeries, drug medications, optometric treatments, and much more to increase the eyesight but natural ways to improve eyesight are the best to be preferred. Natural methods and organic medications are too much available for the best eyesight treatment. Firstly, let us know about the safest approach i.e. the most organic ways to protect your eyes and improve eyesight naturally. Many of the acupressure points for eyesight are directly related to the eye, i.e. located in the eye region. 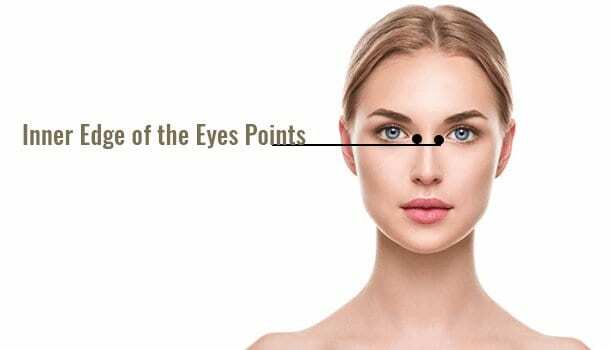 Almost 4 to 5 points will cure the eyesight problem with a gentle massage around the eyes without even requiring the knowledge of pressure points. Finding these points similar may confuse you at first, but there is a clear notion for each of the acupressure points for eyesight treatment. Moreover, you can use any pressure point or simply massage around the eyes for easy treatment for eyesight. Just beside the nose bridge, you can find these points. The two points are just adjacent to both eyeballs which reminds you to be very careful while applying the pressure. Use your thumb and index finger to give the pressure. Apply gentle pressure and massage with gentle movement of the fingers at the pair of points for 3 to 5 minutes, you will surely observe a minimal increment in the clarity of vision. The points nearer to the eye are the most important acupressure points for eyesight treatment. 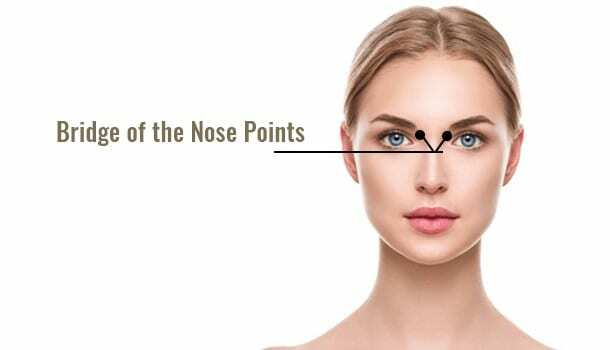 On either side of the bridge of the nose, you have another pair which may confuse you with the above inner edge points. The current pair of pressure points is located right below the inner ridges of the eyebrows and on the nose bridge. Use two thumbs to apply pressure on the points. Massage with the fingers on the points simultaneously. This heals the eyestrain tremendously, which in turn enhances your eyesight. Practice this exercise thrice a day for fruitful results. The point is as efficient as the vegetable diet to improve eyesight naturally. This is our actual destination point when we refer to acupressure points for eyesight improvement. Above the nose bridge, in between the two eyebrows, you have the third eye point. This point is so popular in acupressure treatment that it has almost 30% usefulness of all the treatments carried out by the alternative medications. Locate the point exactly, use your thumb to apply soothing pressure for 5-6 minutes. Doing this activity will help you in the eyesight treatment and also in relieving all sorts of headaches. If you are a person with anxiety and emotional instability, you must try this treatment to improve your condition. 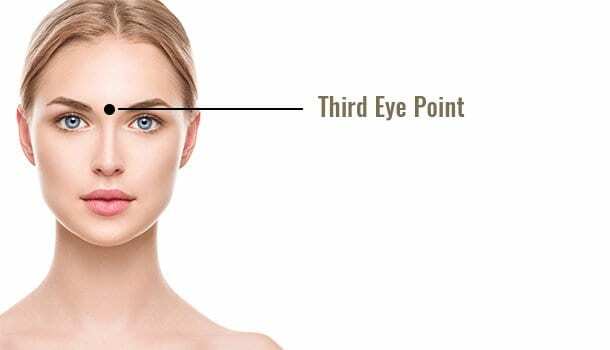 The third eye point has an endocrine gland at its location, which impacts our hormone simulation and emotional balance. This is the reason we see people wearing a ‘bindi’(organic sticker) in some countries at this point to protect ourselves from any negative effects. 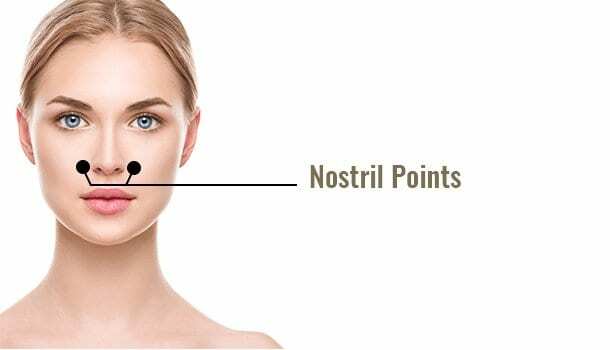 Nostril points also do the same relief treatment for eyesight improvement as the above points do. The only difference here is they are not in the eye region. Nostril points are located on both sides of the nose. You need to apply a gentle soothing pressure on the points for about 5 minutes making circular motions with your index fingers simultaneously. This point relieves many respiratory ailments like sinusitis problems, nasal congestion, asthma, etc. And it stands out to be one of the best methods to improve eyesight naturally in a therapeutic procedure. Have you heard a wondering statement ever that many nerves are interconnected in our body? They also say in Ayurveda and other natural sciences that if we have to cure few stubborn ailments, we got to lose some of the organs’ life. This is also due to that interlinkage. And here is one such classic example of that case. You press one point on your foot and set right your vision, such vast is the nature of this creation! Coming to the treatment to improve eyesight naturally with this point, the pressure points are located on the tips of first toes of both feet. You might need another person for the application to get a better treatment. This is because acupressure offers best results only when you practice it calmly in a relaxed position. Massage your toe with the thumb with good pressure until you can feel the relaxation of your nerves. Do this on the other toe also for the same time. Doing this daily twice or thrice can get you out of vision problem and improve eyesight naturally without any additional treatments. The sickness of eyes and other eye-related diseases are also healed at this point. Here’s a bonus pressure point for you. This point also works very well for eye vision improvement. There are nerves that react in reflex to the pressure applied on this point. The tips of both thumbs of our hands hold this points to energize the ‘chi’ related to vision. ‘Thumb tips’ are one more special location where you find the easiest treatment for vision/eyesight improvement. Again this is the symmetric acupoint where you have two of them on your body at similar locations on either side. On two thumbs of two hands, there are thumb tips points. To start pressurizing, you must be in a relaxed posture. Be very calm, take one of your thumbs into the other hand, place your thumb in between two fingers and apply pressure on the tip of the thumb. Do this on the other thumb too. Pressure should be mild for eyesight treatment. The slight increment in the amount of pressure you apply will also work for neck muscle stiffness, which in turn will save you for the enhanced vision.